Mark Bauerlein’s essay “What’s the Point of a Professor?” muses on how the professional pressure on professors affects their availablity to students, especially when those students come to college mostly for job training (rather than a character-building exposure to a world of ideas). 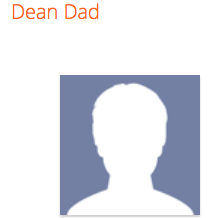 In his response, “Dean Dad” points out the impact of higher education’s growing reliance on an army of part-time adjunct instructors (who are hired on a class-by-class basis). It is very hard for students to bond with their instructors — or instructors to bond with their institutions — if the instructor has gets no job security, no benefits, no office, and no respect. 11 May 2015 in Academia, Culture, Ethics, Rhetoric.